Flaws in legacy applications and configuration blunders still plague organizations, experts say. 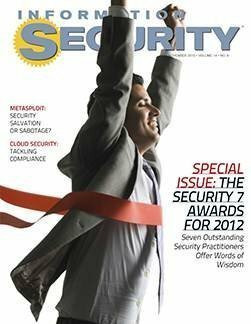 In this issue, find out who won this year’s Security 7 Award, Also, we examine the pros and cons of the Metasploit penetration testing framework. The information security field needs to overcome information sharing roadblocks to improve decision making. Organizations need to consider benefits and risks as they embrace BYOD. Ron Knode, who passed away earlier this year, was a tireless advocate for cloud security transparency. GRC needs to adapt to become a truly effective risk management tool for critical infrastructure. The university created a committee to tackle risk assessment on an ongoing basis. The U.S. Department of State developed a system for improving federal cybersecurity. The information security industry needs to shift its focus to data-driven security. Some say the pen testing framework is a critical tool for improving enterprise security, while others say it helps attackers. Moving to a cloud environment brings compliance challenges, but they’re not insurmountable. Organizations need to implement best practices to protect their trade secrets from both internal and external threats. Educating the security professional requires far more than a certification exam. Security expert Marcus Ranum goes one-on-one with Gartner’s Anton Chuvakin about SIEM technology and where it’s headed.